The definition of capital gains and losses and their treatment for tax purposes are two of the most controversial policy issues for income tax systems. An equally controversial issue, which has received surprisingly little attention outside of the United States, is the responsiveness of capital gains realisations to changes in the tax rate. Our paper reports the empirical results of a capital gains realisations response study, utilising aggregate Australian time series data for the 1988–89 to 2014–15 fiscal years. Our analysis is designed to address the tax policy question of how responsive capital gains realisations are to capital gains tax (CGT) rate changes. The focus of the study is on the effect of the introduction of the 50% CGT discount for personal taxpayers on capital gains realisations – effectively a 50% cut in the rate of tax on capital gains. The CGT discount is a tax law change that took effect on 21 September 1999. At the time, it was argued by some that such a cut in the tax rate would lead to increased realisations and, indeed, increased revenue from CGT for the government. The capital gains realisations response is an important research area for policy makers. To make informed decisions that balance revenue considerations with efficiency concerns, policy makers require the most relevant and current information possible on the tax elasticity of capital gains. In this context, the term ‘elasticity’ refers to the responsiveness of the realisations of capital gains to a change in the CGT rate. If capital gains realisations are highly elastic in the long run, there may be some justification for taxing capital gains at rates preferential to those applying to ordinary income. Although the purpose of a CGT is not limited to raising revenue, an important consideration for governments is the revenue implications that eventuate from the change in the CGT rate. One of the motivations for our analysis is the lack of empirical work that informed the decision to enact the 50% CGT discount. 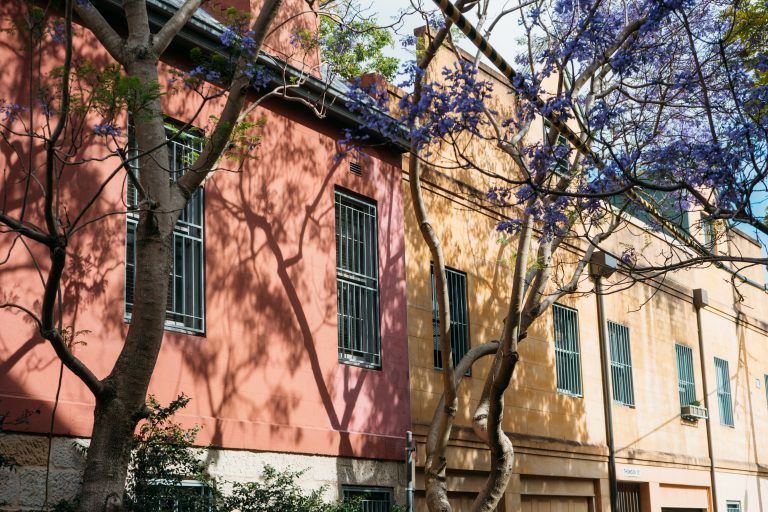 We argue that the revenue effects of CGT rate changes have not received requisite attention in the Australian tax policy setting. Our estimates imply that the cutting of the CGT rate through the introduction of the CGT discount led to a fall in government revenue, not a rise. Our realisations response study is focussed upon personal taxpayers. The dependant variable in the estimating equation is a measure of capital gains realisations. The independent variables are: the top marginal CGT ‘rate’[i], the ASX200 index, real gross domestic product (GDP) and a GDP deflator. Hypothesis 1– the 50% CGT discount for personal taxpayers, introduced in the 1999-2000 tax year, is likely to have caused a decrease in CGT revenue over the long run. Hypothesis 1alt – the 50% CGT discount for personal taxpayers, introduced in the 1999-2000 tax year, is likely to have caused an increase in CGT revenue over the long run. Table 1 below sets out our main estimation results. These results indicate that at a 36.75% tax rate (the midpoint between the top marginal CGT rate of 24.5% and the statutory top marginal tax rate of 49% in 2014-15), the elasticity point estimate is –0.64. This implies that a 1% increase (decrease) in the tax rate would result in a 0.64% decrease (increase) in capital gains realisations. Generally, an elasticity point estimate that is less than 1 in absolute value implies a revenue loss from a CGT rate reduction. The implication of these estimates is that the enactment of the 50% CGT discount is likely to have lost CGT revenue. Notes. ***Significant at the 1% level, ** Significant at the 5% level, * Significant at the 10% level. In addition to estimating the capital gains realisations response for personal taxpayers, we consider the capital gains realisations of companies. 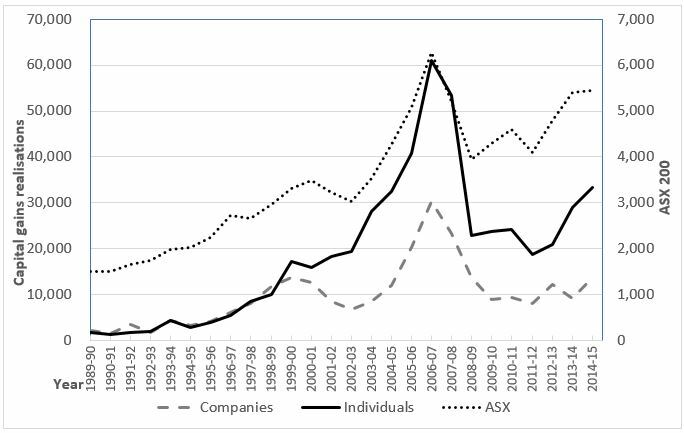 In the years of our study, there is a correlation of 0.91 between the capital gains realisations of Australian personal taxpayers and companies. This is notwithstanding the fact that the 50% CGT discount is not available to companies. In our analysis of the capital gains realisations of companies, we find that the coefficient on the CGT rate variable is not statistically significant. It is arguable that the CGT rate is not an important determinant of capital gains realisations for companies. Moreover, as indicated in Figure 1, there are some similarities in the pattern of capital gains realisations for personal taxpayers and companies. 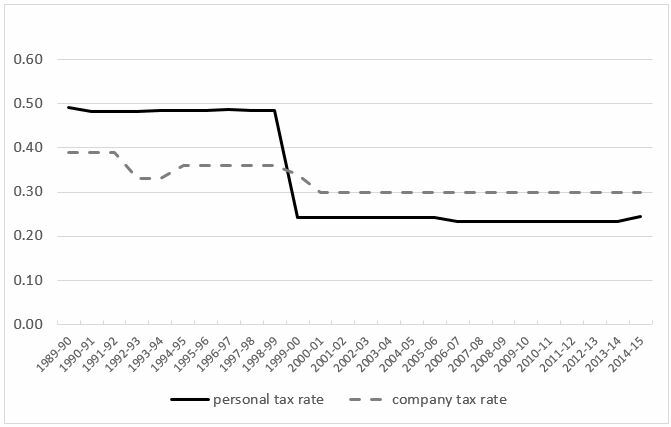 Given the differences between the taxation of capital gains for personal taxpayers and companies (as shown in Figure 2), the similar pattern of capital gains realisations appears to be related more to non-tax determinants than to the CGT rate. Hypothesis 1 is supported by the results of the study. Although the CGT rate can be characterised as a determinant of capital gains realisations, its effect on realisations during the years of the assessment is of an insufficient magnitude to be revenue gaining. The elasticity point estimates in our analysis imply that the 50% CGT discount has been a policy which has lost CGT revenue. Removing or reducing the CGT discount would improve vertical and horizontal equity and it may also prove effective in increasing tax revenue and reducing the Budget deficit. Although a limitation of the study is the sample size of 27 observations, the time series can be extended for future research as more years of taxpayer data become available. 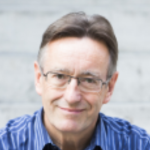 One of the objectives of our article is to contribute to a more informed and evidence-based debate about the implications of changes to the CGT rate, particularly in relation to revenue effects. [i] The top marginal CGT rate is the same as the top marginal statutory tax rate in the pre-CGT discount years. In the later years of the study, when the 50% CGT discount was in operation, the CGT rate is half of the top marginal statutory tax rate. Further reading: Minas, J, Youngdeok, L & Evans, C 2018, ‘The impact of tax rate changes on capital gains realisations: Evidence from Australia‘, Australian Tax Forum, vol. 33, no. 4, pp. 635-666. 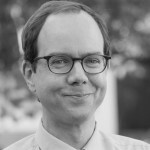 John Minas is a Senior Lecturer in Taxation in the Tasmanian School of Business Economics at the University of Tasmania, and an Adjunct Research Fellow in the Law Futures Centre at Griffith University. 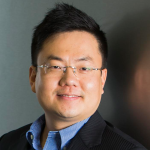 Youngdeok Lim is a senior lecturer in the School of accounting at UNSW Business School. His research interests include conflicts of interest in financial analysts, tax avoidance, capital gains tax, shareholder activism, and mandatory audit firm rotation policy. Chris Evans is a Professor in the School of Taxation and Business Law at UNSW Australia and an Extraordinary Professor in the Department of Taxation at the University of Pretoria, South Africa. He has published extensively on all aspects of taxation, but particularly comparative taxation, capital gains tax and tax administration.